The world’s favorite royal couple is off travelling again. This time, though, they will be venturing to Asia to honor Queen Elizabeth II’s 60 years on the throne. 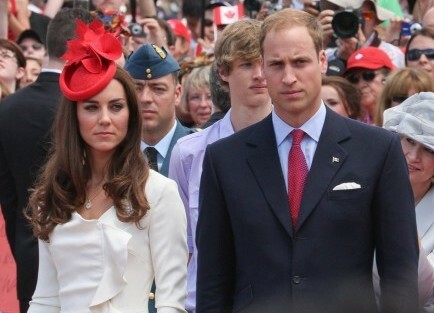 Prince William and Kate Middleton will be visiting several spots on the Pacific Diamond Jubilee. According to UsMagazine.com, the couples’ itinerary for their Asian adventure was revealed. The couple has a busy schedule ahead of them for their eight-day endeavors kicking off with a visit to the Singapore Botanic Gardens and ultimately ending their trip by canoeing to Tavanipupu. William and Kate will then return back to London on September 18. What are some romantic couple destinations in Asia? While the royal couple will be busy with public appearances and formal events, Asia is a romantic couple destination when the press is not following you. Here are a few hot spots to check out when vacationing in Asia. 1. Singapore Botanic Gardens: The royal couple has the right idea by stopping by this beautiful, serene garden. With no admission fee and hours that can accommodate almost anyone, this is definitely a romantic spot for a date. The combination of the gorgeous gazebo, luscious landscape and beautiful waterfall in the Ginger Gardens will definitely set the mood for romance between you and your partner. 2. Danum Valley: While this may not be your typical idea of a relaxing, romantic spot think again. This conservation area is filled with trails that are spectacular for bird watching, night walks or drives. While walking the trails, you and your partner will be able to come across a variety of animals that you would have never been able to come across in your average local park. The sense of adventure and wonder will make an exciting and memorable date. 3. Hong Kong: If the calm, majestic scenery that nature has to offer is not your type of spot, there is always the vibrant city life. Full of rich history and an array of Asian culture, exploring the city is an adventure in itself. With tons of new foods to try and places to see, you and your partner will enjoy new experiences and adventures. Even if you live in or near a city at home, there is nothing like exploring a foreign place with the person you love the most. Have you visited Asia with your partner? Tell us about it!